Expenses. Everyone has them. No one wants to think (or talk) about them. But as they aren't going anywhere, we need to make sure we can project them and track them in our businesses. After all, no one wants to end up with a loss at the end of the year. 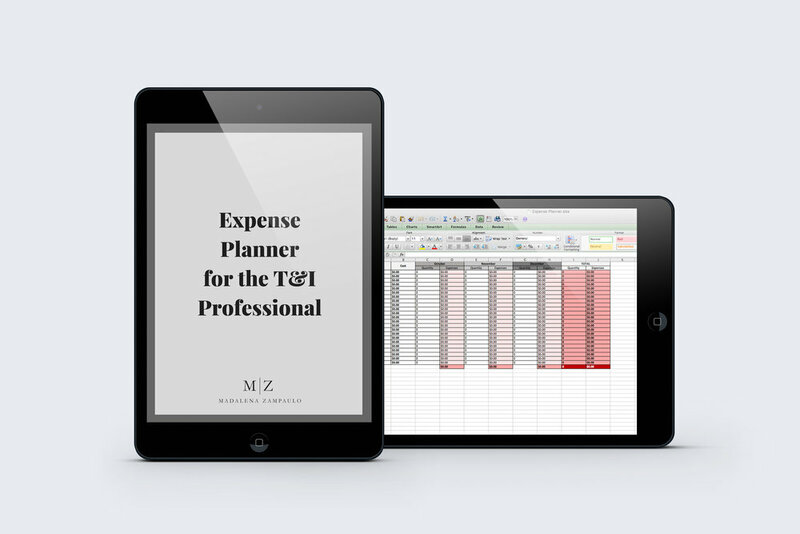 Don't worry if you're not tracking and projecting your expenses for your business already. I'm going to show you how to do it without all the complicated software and gadgets. This way of tracking is simple. Once you do this, you can then utilize whatever accounting system you like to input your expenses and manage your accounting. This post and the spreadsheet I will show you are all about making sure you know what's coming so that you can increase your profit margins and build a better business. Let's dive in! Now, before we get started with the method that I am going to show you, please note that the numbers reflected in this post and in the video below do not reflect actual numbers in my own business, nor are they suggestions for the numbers you should have in yours. Here's how my expense projection and tracking tool looks in a few snapshot views. It's truly not as complicated as it might look. I promise! And here's how I use it. When a new year or quarter comes, I open the file and take a look at the tabs at the bottom of the spreadsheet. I let the order of the tabs guide how I track and project expenses so that I know what's coming. One thing to remember any time you project expenses. And this is something my accountant tells me often: Projections are just that. Projections. You know they're going to be wrong, but you can come pretty close to figuring out what those numbers will be. This method will help you to determine what you need to do each month and quarter in order to cover your expenses and make sure you still land right side up. Don't forget to plan for annual expenses like memberships, conferences, licenses, tax fees, etc. These have a way of sneaking up on most people, and no one wants to be hit with a few thousand dollars to shell out all at once. That's why projecting your expenses will help you determine how much money to put aside throughout the year so that you can pay these off all at once without creating any debt for yourself or putting a serious dent in your business account. By taking a real look at your business expenses for the year, for each quarter and for each month, you can truly make a positive impact on how you do business. You will have more peace of mind about your spending habits and earnings. You will not have to worry as much about when that next big project is coming in to cover your expenses. And you will empower yourself by knowing these numbers. This is not meant to be a scary exercise. It's a practical one. To get the exact spreadsheet I use in this video, click on the button below to download and get started. ● a discount code to use toward the M|Z Sales Revenue Planner (available April 26, 2018!). The video tutorial that accompanies the spreadsheet is only available to those who download it. Before you tell another person, "I'm a words person, not a numbers person! ", check out the spreadsheet and empower yourself in order to increase your profit margins, plan for future expenses and start making more informed decisions about the way you spend in your business.